Are you now an owner of a foreclosed property in Miami-Dade, Florida? Then you've just landed on the most important page on the Internet. You need a Certificate of Use for that Miami-Dade property, according to Ordinance #08-133, which states that owners of foreclosed properties in Miami-Dade County are required to provide a Certificate of Use inspection with a Disclosure of Findings report. COU Of Miami is the easiest, quickest, most convenient and most affordable way to get your Certificate of Use in Miami-Dade. Whether your foreclosed property is located in the City of Miami or somewhere around Miami-Dade County - for example, Doral, Opa-locka, Hialeah Gardens, Homestead, Medley, North Miami, South Miami, West Miami, Miami Gardens, North Miami Beach or anywhere else - COU Of Miami is the premier solution for your Certificate of Use for Miami-Dade. Getting a Certificate of Use (COU) is not a straightforward process. It's complex and requires both expertise and time, and must be followed to the letter. It requires a thorough inspection of the property, expediting and review with the appropriate board, then proper filing with the appropriate courthouse in the City of Miami or Miami-Dade County. Mistakes can be costly, and are not an option. The experienced professionals of COU Of Miami can get your Certificate of Use in Miami-Dade processed and acquired properly. Then you can take over your property. 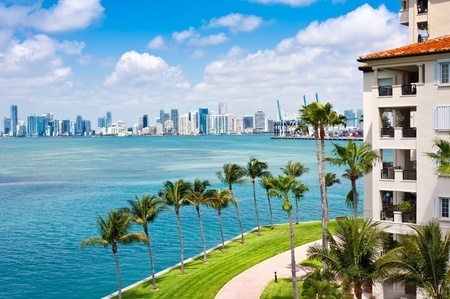 Since opening for business in 2009, COU Of Miami has fulfilled over 4,000 certificate-of-use requests - from initial inspection to final delivery - throughout the City of Miami and the County of Miami-Dade, serving properties such as yours existing on both incorporated and unincorporated land. We know we offer the region's most competitive rates and most reliable service. We also know we can get your Miami-Dade Certificate of Use to you within three to five days, though this can depend upon the review board's schedule. We put our expert team of engineers, architects and draftsmen to work in getting your Miami-Dade Certificate of Use. Their knowledge is valuable in the inspection, expedition, review, courthouse recording and final delivery of your Miami-Dade Certificate of Use. Our system is rapid, simple, convenient and affordable - plus you have the option of tracking your COU request from start to finish with our highly innovative, fully proprietary on-line technology. Let us put it to work for you. Throughout Miami-Dade County and the City of Miami, we work for you to get it done, so you can get done with your work. Call 305-807-8771 to get the COU process started.